Mr. L. H. (Hop) Boyd, Jr., P.E., Senior Process Engineer, a chemical engineer (M.S., University of Arkansas, 1985) with 27 years experience in the design, startup, and operation of chemical production, petroleum refining, and waste handling and treatment processes, as well as in the design, startup, and operation of process control systems and computer process modeling and simulation. Mr. James S. (Jim) Morris, P.E., Senior Process Engineer, a chemical engineer (M.S., University of Tennessee, 1988) with 29 years experience in the design, startup, and operation of batch chemical processes, waste treatment and air pollution control systems, and metalworking production units, as well as in computer process modeling and simulation. Mr. Melvin C. (Mel) Coker, Jr., Senior Process Engineer, a chemical engineer (B.S., University of Tennessee, 1989) with 20 years experience in petroleum refining, petrochemical production, chemical processing, and pulp and paper manufacturing process hazard analysis, including process design, control system, operations, and process documentation review and evaluation. Ms. Jacqueline F. (Jacqui) Stewart, P.E., Senior Process Engineer, a chemical engineer (B.S., Pennsylvania State University, 1986) with 20 years experience in the design, startup, and operation of batch chemical, specialty metal, and pharmaceuticals production processes, as well as in the design and permitting of environmental systems. Ms. Leslie W. Little, P.E., Senior Process Engineer, a chemical engineer (M.S., University of Tennessee, 1985) with 31 years experience in the design, startup, and operation of chemical, environmental, and radioactive materials processing systems and in waste treatment and radioactive material processes regulatory compliance. Mr. Jason P. Firman, P.E., Senior Process Engineer, a chemical engineer (B.S., University of Florida, 1996) with 14 years experience in the design, startup, and operation of batch specialty chemical production processes, and with chemical plant and petroleum refinery process safety management. Mr. Donald M. (Don) Montierth, P.E., Senior Process Engineer, a chemical engineer (B.S., Brigham Young University, 1986, M.B.A. 1988) with 22 years experience in the design, startup, and operation of chemical and pharmaceutical production and waste handling and treatment processes, as well as in computer process modeling and simulation, alternative energy process design, and detail process systems design. Mr. Stephen D. (Steve) Karnitz, Senior Process Engineer, a chemical engineer (B.S., Tennessee Technological University, 1991) with 16 years experience in the design, startup, and optimization of batch and continuous chemical production processes, alternative energy process design, as well as in computer process modeling and simulation and detail process systems design. Mr. Joel G. Reagan, Senior Process Engineer, a chemical engineer (M.S., Tennessee Technological University, 1985) with 26 years experience in the design, startup, operation, and optimization of chemical production processes, plant utilities, and waste treatment systems, alternative energy process design, as well as in computer process modeling and simulation. Mr. Robert G. (Jerry) Hartis, Senior Process Engineer, a chemical engineer (B.S., North Carolina State University, 1977) with 32 years experience in the design and operation of batch specialty chemical production and waste treatment processes, as well as in detail process systems design. Dr. Peter J. Bereolos, Senior Process Engineer, a chemical engineer (Ph.D., Purdue University, 1995) with 17 years experience in the operations and technical support of nuclear materials processes, including the safety, storage, and inventory management of nuclear materials. Ms. Meghan W. Goff, Process Engineer, a chemical engineer (M.S., North Carolina State University, 2003) with 7 years experience in the design, startup, and operation of batch specialty organic chemical processes and with computer process modeling and simulation. Mr. Bruce L. Giles, Senior Process Engineer, a chemical engineer (B.S., Tennessee Technological University, 1982) with 24 years experience in the design, startup, and operation of chemical production, batch chemical, and radioactive materials processes, as well as in the design, startup, and operation of computer process control systems, and process documentation review and evaluation. Mr. Brian Gregory (Greg) Jobe, Process Engineer, a nuclear engineer (B.S., University of Tennessee, 1985, M.S. 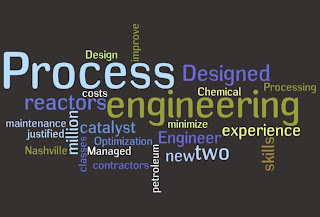 chemical engineering pending) with 8 years experience in nuclear plant, chemical plant, and petroleum refinery operation and process safety management. Mr. Roger M. Efferson, Senior Process Engineer, a chemical engineer (B.S., University of Tennessee, 1985) with 26 years experience in specialty and textile chemical production and production management, as well as in plant management, process control, and instrumentation. Mr. J. H. Gregory (Greg) Grimaud, III, P.E., Senior Process Engineer, a chemical engineer (B.S., Pennsylvania State University, 1981, M.B.A. 1995) with 28 years experience in the design, startup, and operation of chemical and nuclear materials processing systems, as well as in detail process design and project and engineering management. Mr. Sherman D. Brady, P.E., Senior Process Engineer, a chemical engineer (B.S., University of Missouri-Rolla, 1963) with 47 years experience in the design, construction, startup, and operation of organic and inorganic chemicals production processes, as well as in industrial research and development. Dr. Richard N. Jacobson, P.E., Senior Process Engineer, a chemical engineer (Ph.D., California Institute of Technology, 1970) with 39 years experience in the design, construction, startup, and operation of organic and inorganic chemicals production processes, petroleum processing units, and mined materials processes. Mr. Grant B. Duncan, Process Engineer, a chemical engineer (M.S., University of Tennessee, 1994) with 21 years experience in the design, startup, and operation of batch and continuous specialty and commodity chemical production processes as well as with plant practices regarding quality, safety, and management. Mr. Matt D. Whitworth, Senior Process Engineer, a chemical engineer (B.S., Georgia Institute of Technology, 1998) with 11 years experience in the design, startup, and operation of batch and continuous organic chemical production processes, alternative energy process design, as well as in computer process modeling and simulation and Six Sigma methodologies. Mr. Rame Y. Sulaiman, Process Engineer, a chemical engineer (M.S., Tennessee Technological University, 1995), with 13 years experience in equipment and processing systems design, startup, operation, and optimization as well as dryer, filter, and heat transfer equipment detail design and the design of process control systems. Ms. Sonja K. Cannon, Process Engineer, a chemical engineer (B.S., Tennessee Technological University, 2000) with 10 years of experience in the design, startup, optimization, and operation of batch specialty chemical production processes, as well as in batch chemical pilot plant management. Dr. Frederick E. (Fred) Weber, Senior Process Engineer, a chemical engineer (Ph.D., University of Minnesota, 1982) with 30 years experience in engineering education, and the incorporation of new technologies into chemical engineering education, as well as the design and operation of nuclear processes. 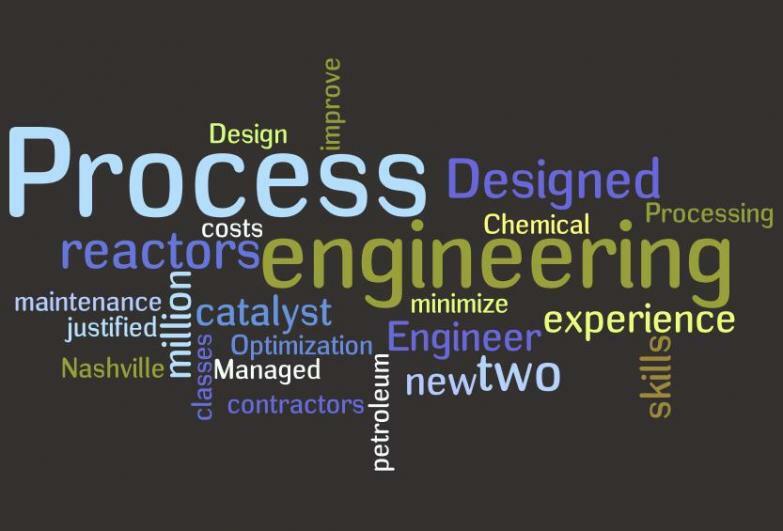 Ms. Jennifer L. Bergstrom, Senior Process Engineer, a chemical engineer (B.S., Oklahoma State University, 1996) with 14 years experience in PSM program management, process hazard analysis, control systems, process documentation review and evaluation, as well as design, startup, optimization, turnarounds, and operation in petroleum refining and gas processing plants. Mr. Dennis W. Worthington, Senior Process Engineer, a chemical engineer (M.S., Rose-Hulman Institute of Technology, 1988) with 22 years experience in plant support and troubleshooting, development and execution of new product scale-ups and production runs, pilot plant management, and batch process engineering and development, as well as in process control system configuration and programming. Ms. Ann T. Shih, P.E., Process Engineer, a chemical engineer (M.S., Lehigh University, 1988) with 10 years experience in development and execution of new process scale-ups and design, fabrication, installation, and startup of nuclear fuel processes and semiconductor processes. Mr. Brent D. Barnes, Associate Process Engineer, a chemical engineer (B.S., University of Tennessee, 2008) with 4 years experience in the evaluation of PFDs and cost estimating in nuclear chemical production processes as well as addressing plant operations corrective action items. Mr. David M. Warner, Senior Process Engineer, a chemical engineer (B.S., West Virginia University, 1973) with 37 years experience in process design, construction management, process startup and operations, as well as in synthetic fibers/polymers manufacturing. Mr. Andrew E. (Andy) Felker, Senior Process Engineer, a chemical engineer (B.S., Purdue University, 1990, M.B.A 2001) with 20 years experience in the design, construction, startup, and operation of batch and continuous chemical processes, waste treatment systems, and air pollution control devices, as well as project management, plant management, process improvement, process safety, and cost estimation. Mr. Robert A. (Tony) Joseph, Jr., Senior Process Engineer, a chemical engineer (M.S., University of Tennessee, 1978) with 32 years experience in the design, startup, and operation of organic and inorganic chemical production processes, pilot plant systems, as well as in industrial research and development. Dr. John F. (JJ) Langford, Jr., Process Engineer, a chemical engineer (Ph.D., University of Delaware, 2007) with 5 years experience in simulation, design, startup, quality control, and troubleshooting of nuclear, powdered metal, pharmaceutical production processes, as well as in computer process modeling and simulation. Ms. Jessica Hobby, Associate Process Engineer, a chemical engineer (M.S., University of Tennessee, 2008) with 3 years experience in the design of experiments and technical report writing in the area of nuclear waste processes. Mr. William L. (Bill) Osburn, P.E., Senior Process Engineer, a chemical engineer (B.S., State University of New York, 1978) with 32 years experience in the design, startup, operation, troubleshooting, and decontamination and decommissioning of organic and inorganic chemical and nuclear materials processes, as well as in waste treatment system design and process environmental and regulatory compliance. Mr. Wade A. Sims, Senior Process Engineer, a chemical engineer (B.S., Michigan Technological University, 1958, M.B.A 1965) with 42 years experience in the process scale-up, design, construction, startup, operation, and troubleshooting of multiple greenfield pharmaceutical plants, as well as project management, plant management, process improvement, and cost estimation of pharmaceutical, refining, and LPG processes. Mr. Bernd (Bert) Niemann, P.E., Senior Process Engineer, a chemical engineer (B.S., Northeastern University, 1965) with 40 years experience in the planning, design, procurement, construction, and startup of a variety of inorganic chemical and nuclear materials processes, as well as in the independent design review of coal gasification and liquefication pilot and demonstration plants and in performing new technology maturity assessments. Mr. David M. Pitts, P.E., Senior Process Engineer, a chemical engineer ( M.S., Villanova University, 1973) with 31 years experience in the the design, startup, and operation of a wide variety of waste handling and treatment processes, environmental regulatory compliance engineering support, as well as in the design and operation of batch and pilot scale emissions control systems. Mr. William A. (Bill) Tuck, P.E., Senior Process Engineer, a chemical engineer ( B.S., Lehigh University, 1979) with 31 years experience in the planning, design, startup, commissioning, and troubleshooting of a variety of organic and inorganic chemical processes including polymers, fragrances, agricultural chemicals, and other processes, as well as offsites and utilities, waste treatment, and powdered materials processing and handling systems. Mr. Richard F. (Rick) Vogel, Senior Process Engineer, a chemical engineer (B.S., Texas A&M University, 1983) with 24 years experience in the conceptual and detailed design, commissioning, startup and operation of a variety of chemical, petrochemical and nuclear processes, utilities and offsites, design of cell culture and bioreactor biopharmaceutical facilities, process safety studies, instrumentation, process control, and project management. Mr. Steven W. (Steve) Thompson, Senior Process Engineer, a chemical engineer (B.S., Christian Brothers College, 1982) with over 27 years experience in process engineering, process safety, equipment engineering, environmental engineering, production engineering, operations/maintenance, and construction engineering in the nuclear, chemical, petrochemical, consumer products, pulp & paper, textiles, imaging systems, and oil & gas industries, as well as in the design, execution, startup of complex systems, and troubleshooting of numerous projects from both an operations and engineering perspective. Mr. J. Steven Miller, Senior Process Engineer, a chemical engineer ( B.S., Lehigh University, 1985) with 25 years experience in the design, project management, startup, commissioning, troubleshooting, and operations of a variety of chemical processes including specialty metals, pharmaceuticals, and pilot plant facilities, as well as utilities, waste treatment, and powdered materials processing and handling systems. Ms. Maureen Linne, Process Engineer, a chemical engineer (B.S., Pennsylvania State University,1978) with 14 years experience in the scope definition, feasibility study, conceptual design, detailed design, project management, construction management, startup, commissioning, and troubleshooting, of a variety of batch and continuous chemical processes including petrochemicals, organic and inorganic chemical facilities. Ms. Jennifer J. (Jenna) Quigley, Senior Process Engineer, a chemical engineer (M.S., University of Missouri - Rolla, 1984) with 27 years experience in design and startup of nuclear materials processing, nuclear waste storage, and nuclear waste treatment systems. Ms. Carol M. Miller, Senior Engineering Technician, a computer drafter with 15 years experience in the computer-aided drafting (CAD) of process flow diagrams (PFDs), piping and instrumentation diagrams (P&IDs), equipment layout drawings, and mechanical and architectural drawings. Ms. Andrea T. Reagan, Senior Engineering Technician with 15 years experience in manufacturing and engineering, as well as in the computer-aided drafting (CAD) of process flow diagrams (PFDs), piping and instrumentation diagrams (P&IDs), equipment layout drawings, and in technical package and report preparation. Mr. Keith Christy, Senior Engineering Technician, a computer drafter with 35 years experience in the computer-aided drafting (CAD) of process flow diagrams (PFDs), piping and instrumentation diagrams (P&IDs), equipment layout drawings, and mechanical and architectural drawings, as well as resource planning, construction oversight, and field system inspections. Ms. Kristi D. Anderson, Senior Engineering Technician with 16 years experience in database management, data coordination, as well as in technical package and report preparation. Ms. Kimberly F. (Kim) Boyd, Senior Administrative Assistant with 18 years experience in technical package and report preparation. Ms. Vivian S. Snow, Senior Administrative Assistant with 24 years experience in technical package and report preparation. Thanks for the great information you share on this post, keep posting.